Our range of products include disposable green mask for hospital. We feel proud to introduce ourselves as the well-known manufacturers and suppliers of Disposable Green Mask for Hospital. The offered disposable green mask for hospital is specially designed for catering to the hospitals, clinics and nursing centers. 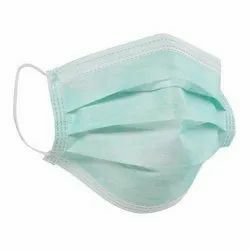 Our supplied disposable green mask for hospital is light in weight and easy to wear. Looking for Disposable Green Mask for Hospital ?